With the new Procurement Law & Regulations effective date of May 2018 the Central Procurement Office (CPO) organized a series of 20 information sessions for civil servants, public servants and suppliers. 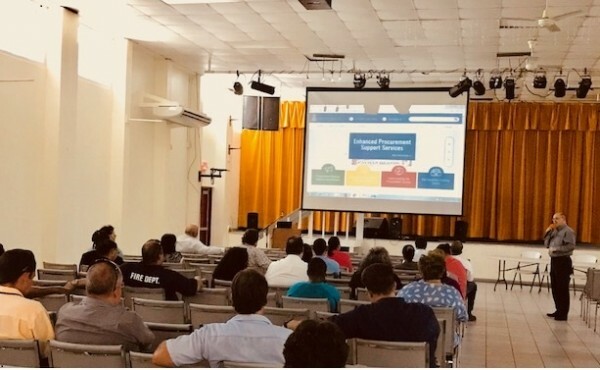 A session was held in Cayman Brac at the Aston Rutty Centre on May 16 2018 outlining the new legislation, answering questions from the audience and providing a guided tour of the new CPO Website at www.procure.gov.ky. The presenters were Director, Craig Milley and Deputy Director, Elizabeth Gerrie.